*BRRRRRRRR* Grab yourself a hot chocolate and come and join us. Looking out of the window at the grey, rain-heavy sky has made me realise that the traditional British winter is now upon us. I can't say I'm particularly excited about the impending 5 months of cold, wet, dark and windy days, but we can try and cheer ourselves up with the promise of rich, indulgent beauty products! In the next few weeks, I'm going to compile my list of my essential winter beauty buys and tips for keeping healthy and looking your best throughout the cold months. Alongside my research, I would love to know how you adapt your beauty and health routine to keep a glowing complexion and to stay snuffle free. You might add a face oil into your routine, upgrade to a richer day cream, or take a variety of supplements to keep the dreaded winter cold at bay - whatever it is, I want to know about it! Post your comments below and if you are on Twitter, follow me @TheBeautyHall and post your essentials followed by the hash tag #winterbeautybuys. I can't wait to read your recommendations! I live in Northern Illinois, where the winters can be brutal, so I definitely have to change things up a bit to keep my skin from drying out from the harsh cold AND the centrally heated buildings. I slather on lotion morning and night, and I'll switch to a thick body butter during the winter. One of my favorites is Bath and Body Works Japanese Cherry Blossom...it smells rich, not fruity. Oh and Hot chocolate,cream and marshmallows - an object of beauty!! @Chrystal I am definitely willing to swap places if you fancy cooling down a little (or more likely, cooling down A LOT!) I haven't used DHC or Arbonne so I'm going to have a little look into those. 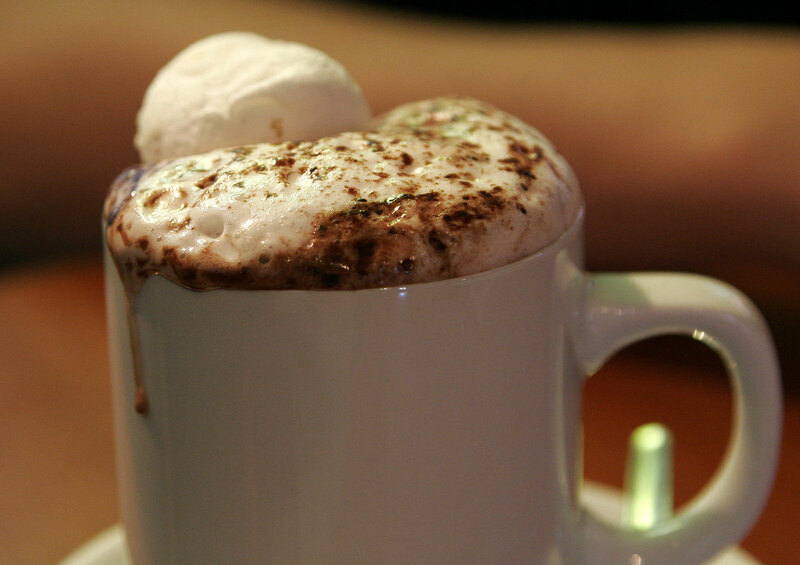 @Bettina How good does that hot chocolate look?! I am setting that image as my household hot chocolate standard: if my boyfriend doesn't make something that looks like that, I'm sending it back! Hey Rachel, I love your blog, so down to earth. I want hot chocolate too! I don't really suffer in winter as my skin is really oily so I just carry on using the same moisturiser but I do have to slather on lip balm because my lips always go dry and I bite them :S Also get plenty of sleep and taken vitamins to try and keep the colds away! I have just started my own blog - realgirlsbeauty1.blogspot.com it would be really cool if you could let me know what you think. I'm so bad, I don't really do anything in terms of changing my skincare routine. My hands suffer terribly though, so my Avenoo hand cream comes out to play. I discovered this at the beginning of the year and it is the only hand cream I've owned that really work. Thanks for the hot chocolate, don't mind if I do! @Jane - Handcream all the way! I flew back from Spain today and bought the Elizabeth Arden 8hr set which includes the amazing handcream which is a definite winter essential for me. @Zoe - I'm a lipbalm addict at the best of times but I really ramp up the applications when the cold weather sets in. Again, EA 8 hour cream is fantastic for blitzing chapped lip. I'm just on your blog now and I really like it: expect some comments soon! @LipglossandLeopardPrint - I like the idea of putting baby oil in the bath: I'll be trying that one! Birthday giveaway: we have a winner! Autumn style - I need to shop! My Name in Lights...well, almost!